President Emmanuel Macron on Tuesday vowed to rebuild Notre-Dame cathedral "even more beautifully" within five years. This screen shot made on April 16, 2019, shows French President Emmanuel Macron addressing the nation on French private TV channel TF1 during which he vows to rebuild Notre-Dame de Paris Cathedral within five years. President Emmanuel Macron on Tuesday vowed to rebuild Notre-Dame cathedral "even more beautifully" within five years, as France reeled with shock from the fire that gutted the great Paris landmark. 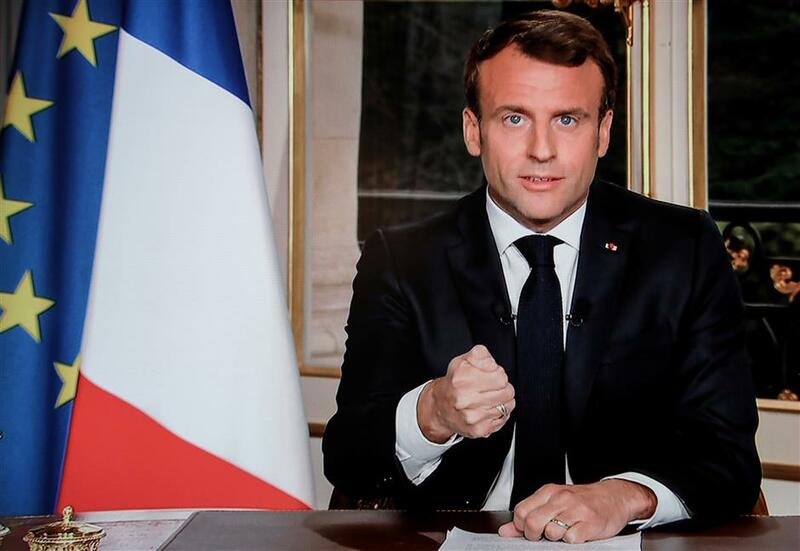 Macron announced the fast timescale — for a process some experts said would take decades — in an address to the nation where he hailed how the disaster had shown the capacity of France to mobilize and unite. Pledges worth around 700 million euros (US$790 million) have already been made Tuesday from French billionaires and businesses to restore the Gothic masterpiece. "What we saw last night in Paris was our capacity to mobilise and to unite," Macron said, hailing France as a nation of "builders." "Our history never stops and that we will always have trials to overcome," he said. 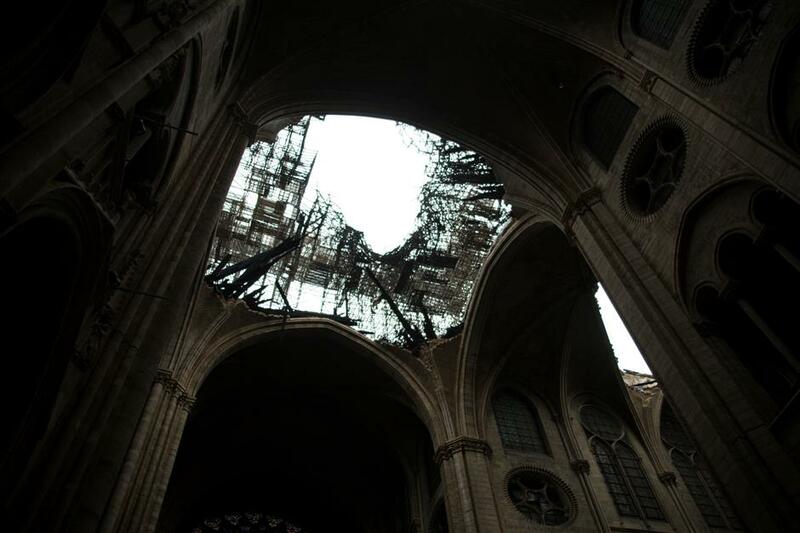 This photo shows the damaged roof of Notre-Dame-de Paris Cathedral in Paris on April 16, 2019, a day after a fire that devastated the building in the centre of the French capital. Images from inside the cathedral Tuesday showed its immense walls standing proud, with statues still in place and a gleaming golden cross above the altar. He said the building had been saved within a critical time window of 15-30 minutes by a team of 400 firefighters who worked flat out throughout the night. Though "some weaknesses" in the 850-year-old structure had been identified, overall it is "holding up OK," he added. President Donald Trump relayed Americans' "condolences" to Macron over the fire, the White House said. French fire chiefs had earlier dismissed as "risible" comments by Trump that the fire should be tackled with water bombers, saying this risked destroying the entire edifice of the cathedral. Investigators interviewed witnesses overnight and began speaking with employees of five different construction companies that were working on the monument, said public prosecutor Remy Heitz. But experts had warned a full restoration will take many years. "I'd say decades," said Eric Fischer, head of the foundation in charge of restoring the 1,000-year-old Strasbourg cathedral. Rescuers formed a human chain at the site of the disaster to evacuate as many artifacts as possible, which were then stocked temporarily at the Paris town hall.